I want you to know, I'm a'comin home for Christmas. I hear that so familiar voice a'callin me home. where yesterdays memories ring loud-n-clear in my mind. topped only by the voices as mom-n-dad sang in days gone by. oh how I love this time of year to spend with my family. and today I have a family of my own. yearn to learn 'bout grandparents they never knew. we'd pack our bags and head for my little home town in the woods. and I still recall the games we'd play along the the way. the old homestead was fade-n fast. 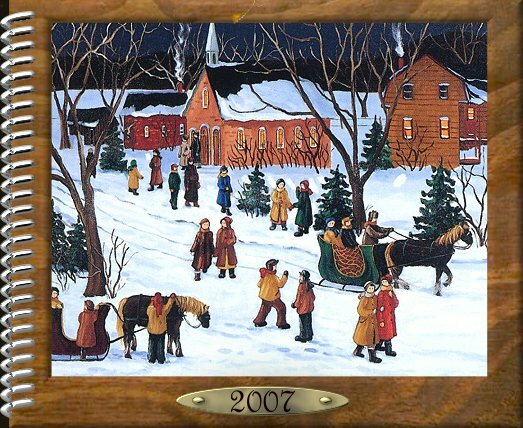 and because the hillside was blanketed with snow we went sleigh ride-n.
'cross the pond where I'd fished many-a-day as a child. 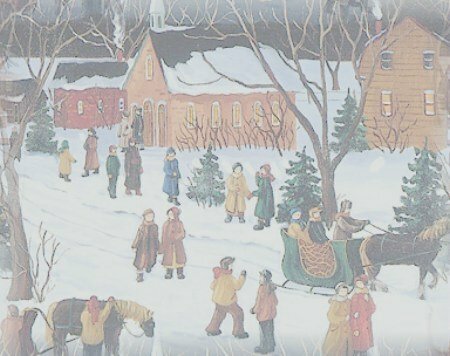 by family-n-friends as the church bells rung on Christmas Day. to share my Christmas mem-o-ries in my little home town. that even after my dying day they shall return. and even though site unseen, learn 'bout grandparents they never knew. as the church bells would ring in the distance. Thanks Dad for the memories. . .